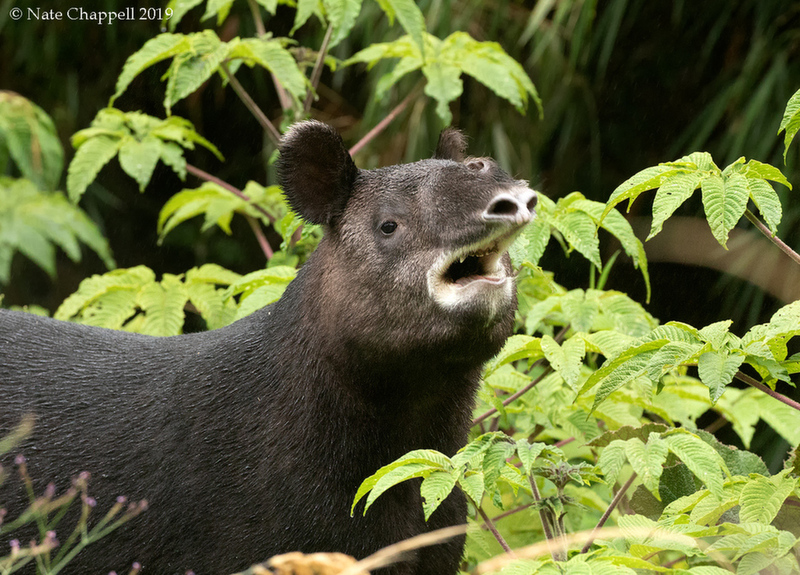 Our group found this endangered species on our most recent Ecuador tour and the tapir was kind enough to hang around the lodge area for 3 days of photography, it was quite a thrill as it was the first time I had seen this animal from less than a couple hundred yards away. A first for me, Nate, so thanks for sharing this with us. The pose is excellent with the mouth open revealing its teeth. Nice lighting and habitat too. I've only ever seen these fascinating creatures in captivity, or in wildlife programmes, so this must have been a real treat for you, Nate! A lovely view of this one, and it looks like quite a character. A fine view and what a treat it must have been to see. Looking at that mouth makes me wonder what it eats.